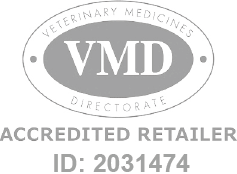 A broad spectrum wormer for the treatment of dogs and cats infected with immature and mature stages of nematodes of the gastro-intestinal and respiratory tracts. Granofen - 3 x 4g Sachet is a Prescription Only Veterinary Medicine and by law requires a prescription from your vet. A broad spectrum wormer for the treatment of dogs and cats infected with immature and mature stages of nematodes of the gastro-intestinal and respiratory tracts. Routine treatment of adult dogs and cats: 1 sachet per 8.8kg bodyweight. Puppies and kittens under 6 months: 1 sachet per 17.6kg bodyweight daily for 3 days.